The Sensory Fairy’s company ethos is one of great passion. I believe in making resources, toys, equipment and specialist clothing for parents of children with special educational needs and disabilities, easily accessible, as these are readily available for professionals and schools. All of these combined, are needed to be able to create a good balance between home and school life, and help us support our children just as they are supported in school. As a parent to my son who has additional needs I found it difficult to access resources, clothing and equipment for him, especially when he was younger. communicate with anybody including myself. It was a very difficult time, he was having meltdowns every day at home and out shopping. Over the years I learnt how to communicate with him and what the triggers of his meltdown were. I created visual timetables, a sensory safe space and spent so many hours trawling the internet for socks without seams, which back in 2009 were £20 a pair. There weren’t any support groups local to me back then, or much awareness and understanding of my child’s conditions. 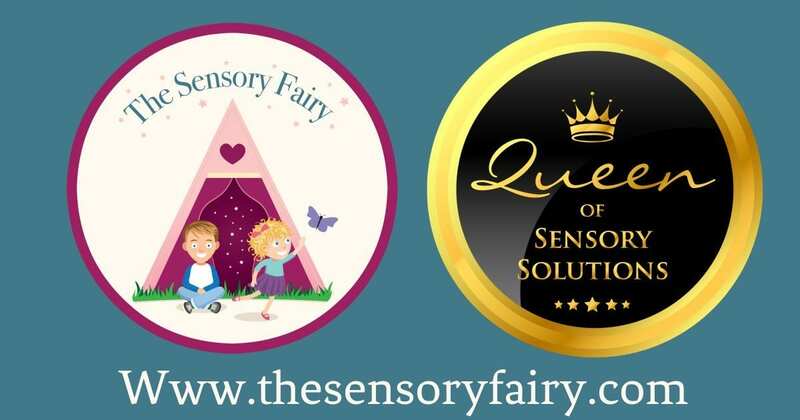 And so in June 2017, The Sensory Fairy sprung to life, with a mission to help children with special educational needs and disabilities, find sensory solutions for daily life. This followed a horrendous 2 years after my twins were born prematurely, my son passing away, my daughter on the brink of death and my eldest son going blind and starting a chemo drug, all in the space of 5 months. I fell naturally into the role of The Sensory Fairy, as I have the experience from a parents perspective, and my daily life consists of the ups and downs of Special Needs. My wonderful website gives you access to a huge range of sensory solutions, from sensory lighting to anxiety toys, communication tools, strengthening equipment, children’s books, children’s mental health, reward systems and so much more. I originally started The Sensory Fairy with parents in mind, and have evolved to supplying nurseries, schools and children’s clubs too. How would you benefit by using The Sensory Fairy! 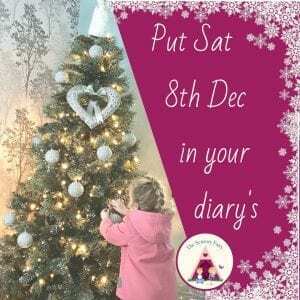 You may wonder how would you would benefit from The Sensory Fairy, and this is simple. If you run groups and sessions for children, you will usually come across at least one child with a disability or special educational Needs, and by having some sensory toys or equipment may help a parent decide to put their trust in your group, and therefore join their child up and recommend you to their friends. The Sensory Fairy can be found across social media platforms, such as Facebook, Instagram and Twitter, and very soon a YouTube channel, and I also have a closed support group linked to the Facebook page, for parents to access for support, guest blogs and speakers and advice. I’m proud and very excited to be a sponsor for the fantastic club hub event in may 2019, and look forward to meeting lots of you there, and of course our amazing host Tessa. I am also an author, and my first book with my co-authors will be published in January 2019, with the official launch and book signing on march the 30 th in Waterstones Nottingham. The sensory fairy will continue to grow with a view to holding local sessions that children can attend, to play with the sensory toys and equipment, and with their parents permission be assessed by a qualified counsellor, who will give them a written breakdown of what sensory toys and equipment would be of benefit to their child. With Christmas just around the corner I am offering a discount of 10% off all orders placed on my website www.thesensoryfairy.com which will end on 15 th December 2018. BUT if you want your order guaranteed for Christmas delivery, the last day to order will be 8th December 2018, any orders placed after this date will still be processed and sent and may arrive by Christmas, but can’t be guaranteed. Some products have a longer lead time as they come direct from the manufacturer, and this can be found in the description of the product. Are you local to Cheshire, if so I am the Cheshire networking event coordinator for the mums in business Association, and welcome you to join our group of 1300 ladies in business. Our main group has over 30000 ladies worldwide and we hold network meetings every month.